If you are already a patient of our practice, you know how awesome our dental team is. If you aren't already a patient, we are glad you found our practice, and we know that you will be too. Our team is amazing. We treat our patients like we would want to be treated; like family. We are serious about having the best dental team to provide for our amazing patients. We take time to select and train our team so that you can be confident in the work that we provide. This selection and training process has made us one of the most highly reviewed dental practices in South Jordan, Utah. Dr. Osborne loves being a dentist and you will see that from the moment you visit his office. He loves treating teeth, making them stronger, healthier and more attractive but most of all he loves getting to know his patients. He loves going to the grocery store, the local sporting event or church activity and running into his patients. 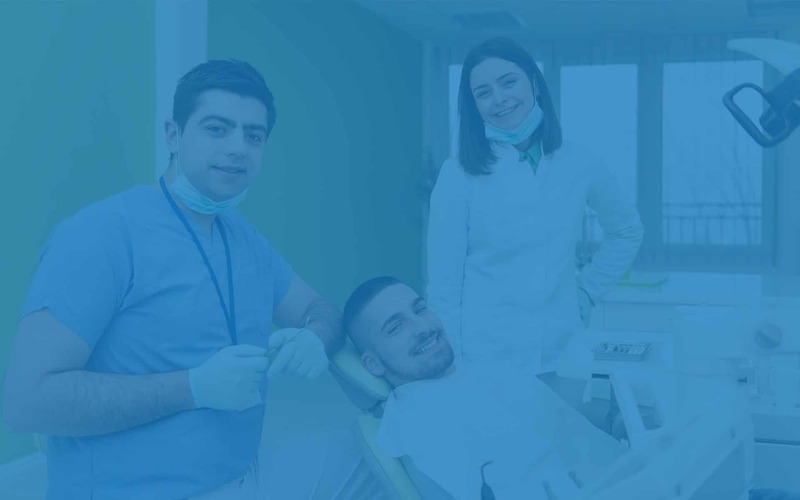 He feels there is something very satisfying knowing that he has helped someone feel better about their smile or improve their quality of living. Dr. Osborne has been married to his wife Karen since 2008. He has four energetic children, one girl, and three boys. When not at work, one might see him at the movies or spending time with his family at one of the nearby South Jordan parks. Aubree just recently joined our practice here at Osborne Dental. She is friendly and caring to our patients. She loves working with kids and wants all of our patients to feel comfortable while they're here. Some of her favorite things are playing the piano, swimming and being outdoors. But most of all, she loves spending time with her husband and family. My family has been coming to Dr. Osborne since 2010. We first met Dr. Osborne outside of the office. He is such a kind, caring, and generous person. A man of integrity. Family is a priority to him. Up until 2010 I had always had the same dentist and was scared to change dentists. Dr. Osborne has been so great with my family. He wants to make sure we get the best possible care. He is a great boss to work for too. He truly cares about me and my family and that they come first. I am a mother of two children and have been married to my husband for 20+ years. We live in South Jordan along with our two dogs. One is cute and one not so cute, but both loved (that is describing our dogs, not the kids). We love to do just about anything together. We love the outdoors and one of our favorite places to be is my parent’s cabin at Strawberry Reservoir. We love to laugh and watch movies. Here is a quote from one of our favorites: “I Just Like to Smile. Smiling’s My Favorite!” Buddy the Elf.